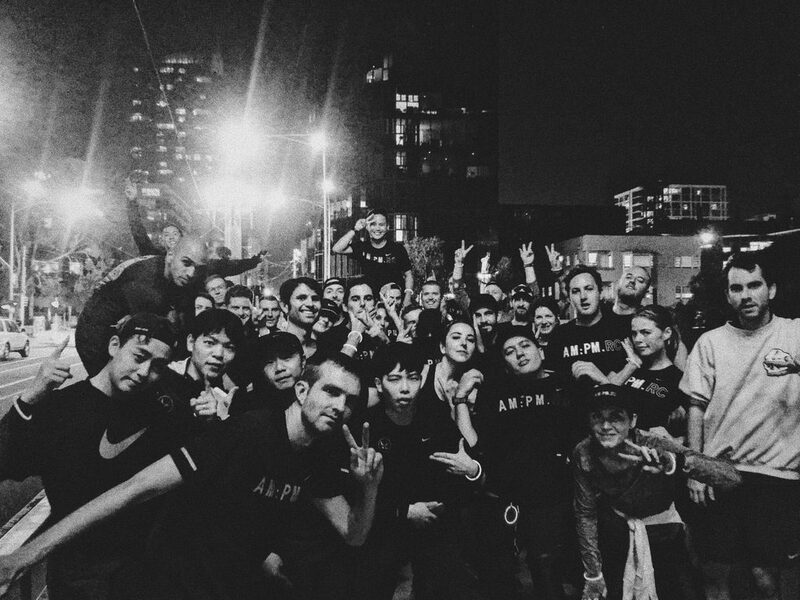 AM:PM.RC is a run crew that’s part of the #BridgeTheGap movement, founded by Run.Dem.Crew (LDN) and The Bridge Runners (NYC). Made up of a diverse and creative bunch of people, AM:PM.RC runs together for many reasons: to make and grow friendships, smash food, party, collaborate on creative ideas, run for wellness or aim for personal bests—always giving it their all. ‘Strength to strength’ is a big part of the AM:PM.RC ethos, growing as a crew by supporting and helping each other through everything they do. Style is also a big part of it, but it doesn’t matter what you wear or how you wear it—it’s just about the people. Performance is a key factor for some members, and AM:PM.RC does strive to improve and train hard, but mostly it’s all about building community and family, and bringing positive change through running.